Dreamscape Foundation will provide the education, the health care, and the essential assistance to help those adapt to their disability and enjoy their lives. Our mission is to aid the small population of people affected by rare disabilities, in a goal to help them achieve success and to fund a cure. It is time to make a difference; it is time to share the dream. Whether to help you get connected with the right people, or just need to be around a group of people who understand you and your situation, we are here. Reach out > and let us know what we can do to specifically help your situation. MarkLogic has over 550 customers, including Aetna, BBC, Boeing, Broadridge Financial Solutions, Centers for Medicare & Medicaid Services, Condé Nast, Dow Jones, McGraw Hill Financial, NBC, Wiley, U.S. Army, U.S. Navy. Also, six of the top ten global banks.. According to Wikibon, based on 2014 revenue, MarkLogic was at that time the leader among NoSQL databases, and appeared in the Gartner Leaders Quadrant in the Magic Quadrant for Operational Database Management Systems. Microsoft Corporation or MS) is an American multinational technology company headquartered in Redmond, Washington, that develops, manufactures, licenses, supports and sells computer software, consumer electronics and personal computers and services. Its best known software products are the Microsoft Windows line of operating systems, Microsoft Office office suite, and Internet Explorer and Edge web browsers. Its flagship hardware products are the Xbox video game consoles and the Microsoft Surface tablet lineup. As of 2016, it was the world's largest software maker by revenue, and one of the world's most valuable companies. User1st Ltd. provides a cloud-based service designed that enables accessibility professionals, webmasters, content managers, user experience managers, and developers to make any website accessible without changing the existing codebase. This revolutionary product detects, fixes, and monitors any website simply by adding a single line of code– then the User1st Code-Fix Editor does the rest. User1st has designed a platform that enables businesses to achieve accessibility compliance in ways never before imagined at a fraction of the traditional time and costs. Not only providing protection from lawsuits but also reaching new customers never before able to engage online. 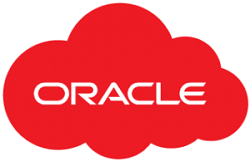 Oracle Cloud is the most powerful, unified cloud solution available today. It redefines how you modernize, innovate, and compete in a digital world, delivering complete and integrated cloud services that allow business users and developers to cost-effectively build, deploy, and manage workloads seamlessly—in the cloud or on premises. ARCHIBUS is an Integrated Workplace Management System (IWMS) platform developed by ARCHIBUS, Inc. The platform is integrated bi-directionally with building information modeling and CAD design software. ARCHIBUS software solutions are used to manage around 15 million properties around the world. 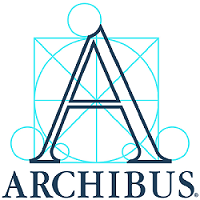 ARCHIBUS software is easily integrated with Mobile, GIS, and ERP systems such as Oracle, SAP, Sage and others. ARCHIBUS has been positioned in the Leaders quadrant of the Gartner "Magic Quadrant for Integrated Workplace Management Systems" for 7 consecutive years (2007–2014). ARCHIBUS software improves building operations management, asset management, environmental sustainability, and risk management.